Price and I set out to provide a source of information for students and community members interested in book censorship in St. Mary’s County Maryland and I believe we accomplished just that. 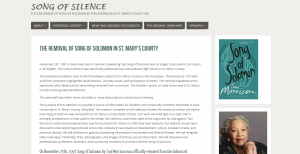 We focused on creating a historical context for the period in which Song of Solomon by Toni Morrison was challenged in St. Mary’s County Public Schools. We accomplished this with our narrative development about the Rodney King Riots, racial tension in The Enterprise, and voting trends in the county. We found viewpoints from both sides of the challenge and created a rich source of diverse media about our case. 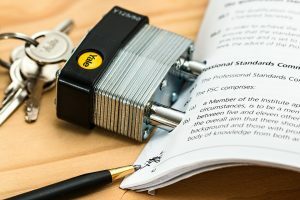 We interviewed participants in the challenge and created videos, transcripts, and organized the arguments of people involved in a way that was accessible to anyone who wants the information. We also produced information that did not exist anywhere on the internet prior to our research. Our exclusive with David Flood is information that may have been lost without our work and I am glad we were able to preserve and present it. We utilized TimelineJS to create a narrative about historical challenges to Song of Solomon along with narrative from our own case. We discussed our own viewpoints on the ways literature impacts culture, societal morality, and personal identity in a way that is appropriate for a front facing website. Today we presented our information to a room full of Professor and other academics and were received very well. 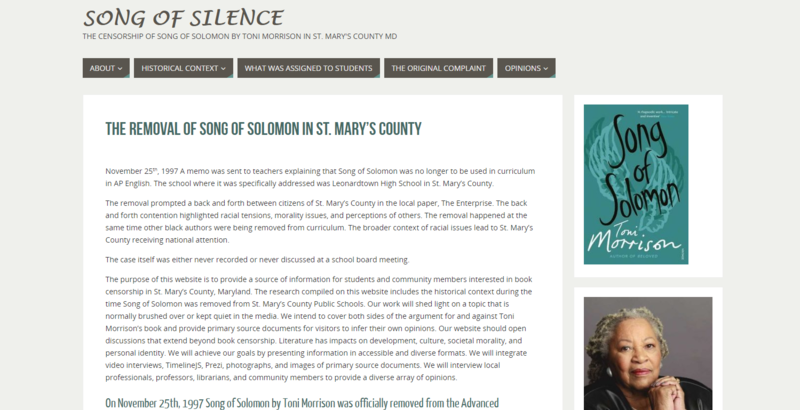 People agreed that our work would be a valuable tool for researchers and one even suggested a classroom should teach the censorship of Song of Solomon with our website as its centerpiece. 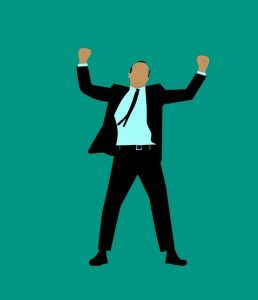 While our milestones were not met exactly, our result is something to be proud of. We accepted our schools call to this new challenge and we met that challenge head on provided a framework for future students at our institution. Our work should open pathways for next class of students and may permanently become part of the legacy of this county when it is included in our school’s archives and listed on the department website. While I wish we had more time to further perfect our website, I am proud of what we have done and believe we have met the requirements of the contract we set for ourselves and with our Professors. I hope to check back in on our work and hopefully see that it has been useful for someone researching book censorship in St. Mary’s County. I hope that future students from St. Mary’s College of Maryland look at our work and decide to move forward with an experience of their own and that this is the start of a rich tradition of primary historical research at our school. It is one thing to practice history while crawling the databases of JSTOR and our schools OneSearch tools, and a whole other thing go out into our community and develop a story from the ground up.